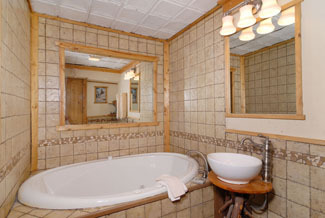 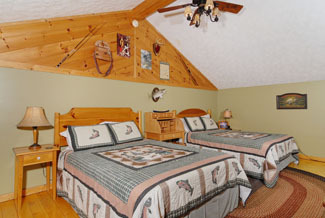 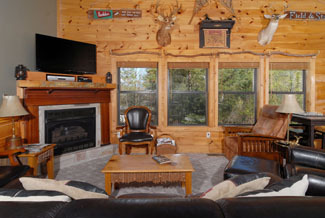 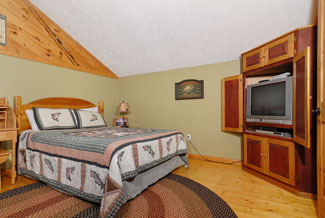 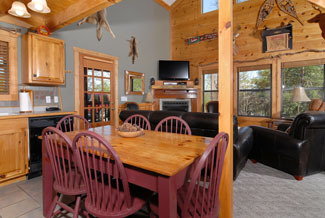 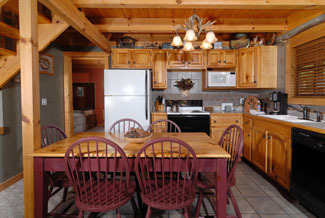 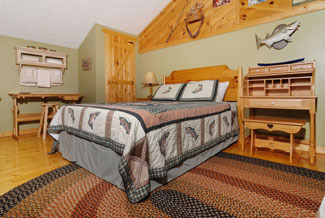 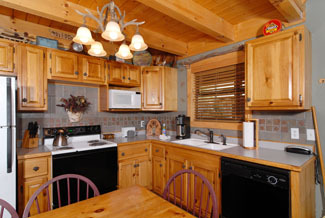 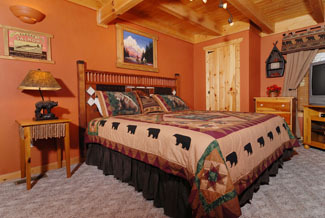 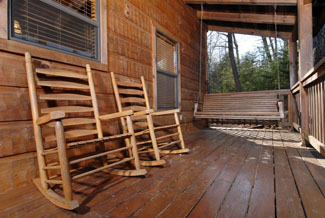 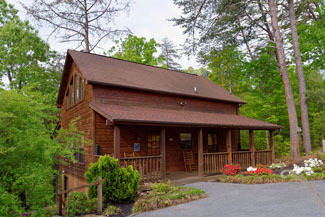 Pigeon Forge Cabin- Sportman's Lodge Three Bedroom Three Bathroom is conveniently located only 4 miles from downtown Pigeon Forge. 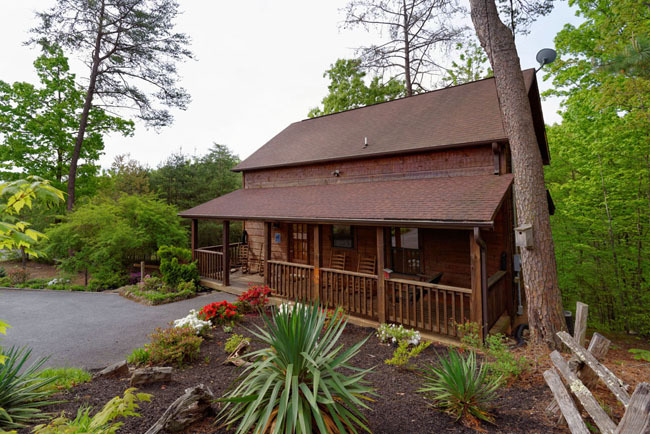 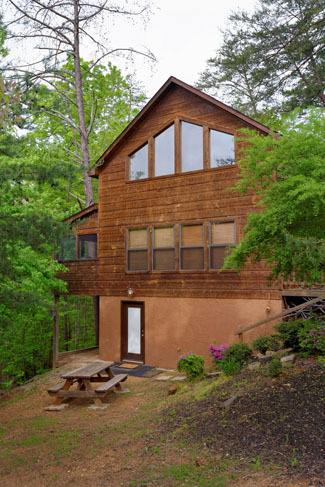 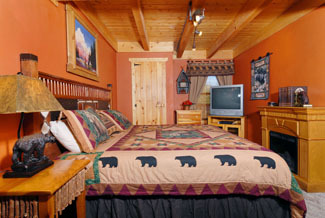 This cabin offers Two Master Suite Bedrooms that have access to an Indoor Whirl Pool, King Size Bed, and a private in suite electric year round fireplace. 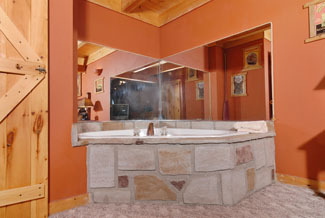 The main level and lower level areas feature the master suites. 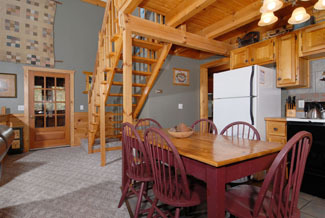 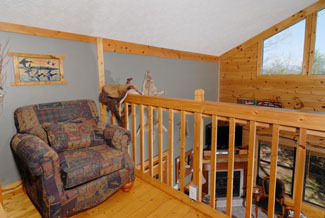 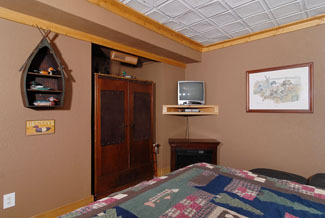 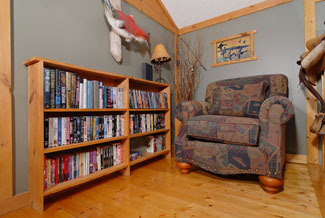 The spacious upper level loft bedroom area offers a reading/sitting area, television, and a bathroom. 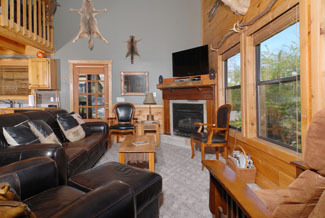 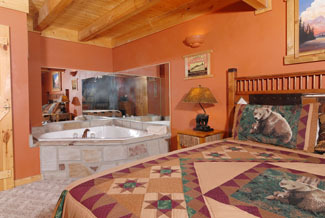 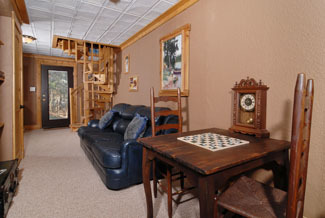 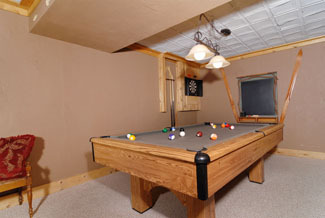 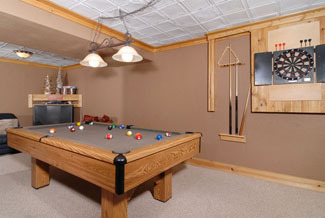 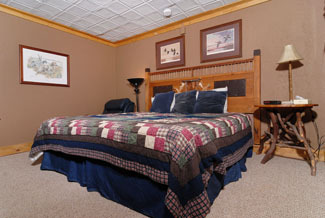 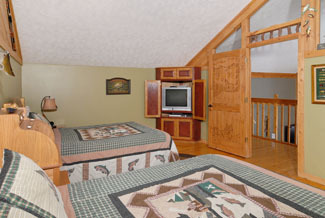 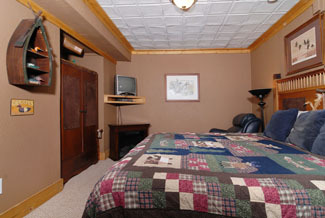 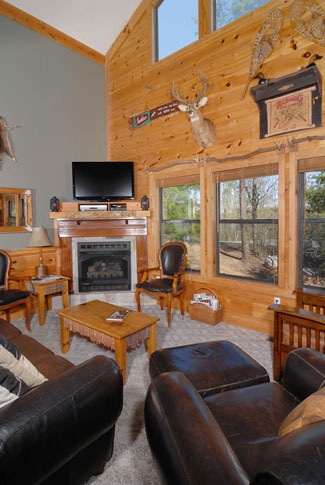 This Pigeon Forge Cabin Game Room features a pool table, dart board, and a big screen television. 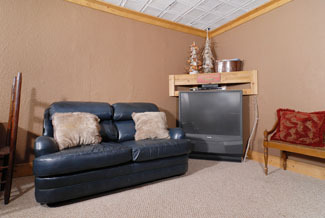 Enjoy television in your own private bedrooms and living room areas. 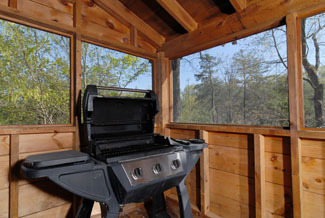 Enjoy your morning coffee or outdoor grilling on the screened in back porch area that features a seating area. 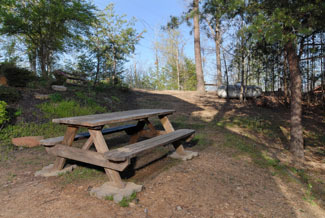 There is a picnic table for relaxing the splendor of the outdoors in the Smokies. 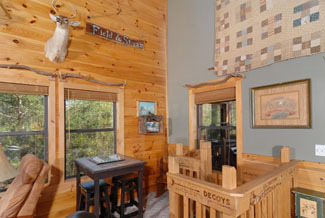 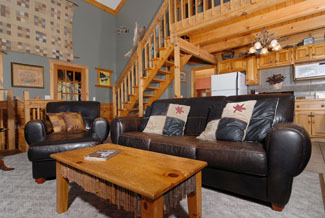 Make Sportman's Lodge you Pigeon Forge Family Getaway in the Smokies. 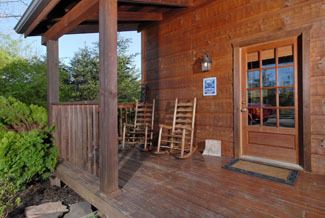 No Pets Please, Non Smoking, Sleeps 8.